Joachim Schliesinger reported a total of between 20,000 and 30,000 Lao Ngaew people living in central and northeast Thailand. Their main areas of habitation are Lop Buri Province (especially Ban Mi and Khok Samrong districts), the Tha Tako District of Nakhon Sawan Province and scattered parts of Singburi, Saraburi, Chaiyaphum, Phetchabun, Nong Khai and Loei provinces. Because of their wide geographic dispersion, gaining an accurate population figure for the Lao Ngaew is difficult. Their ancestors lived in the eastern part of Xiangkhoang Province and western Houaphan Province in Laos. In the 1860s they were forced to migrate southward into the Mekong River basin due to pressure from the Chinese who came down into their part of Laos. Later they decided to migrate across the Mekong into Thailand, where they proceeded to form communities in extremely diverse locations. Today the majority live in central Thailand, but several Lao Ngaew villages can be found on the banks of the Mekong River in Nong Khai and Loei provinces. Although the Lao Ngaew language is considered closely related to Lao and Isan, 'linguistic research found that the main factors influencing the pronunciation of tone in the Lao Ngaew dialect were connected with speech, position of syllables, degree of emphasis and stress'. Several interesting linguistic studies have been made into the Lao Ngaew language. 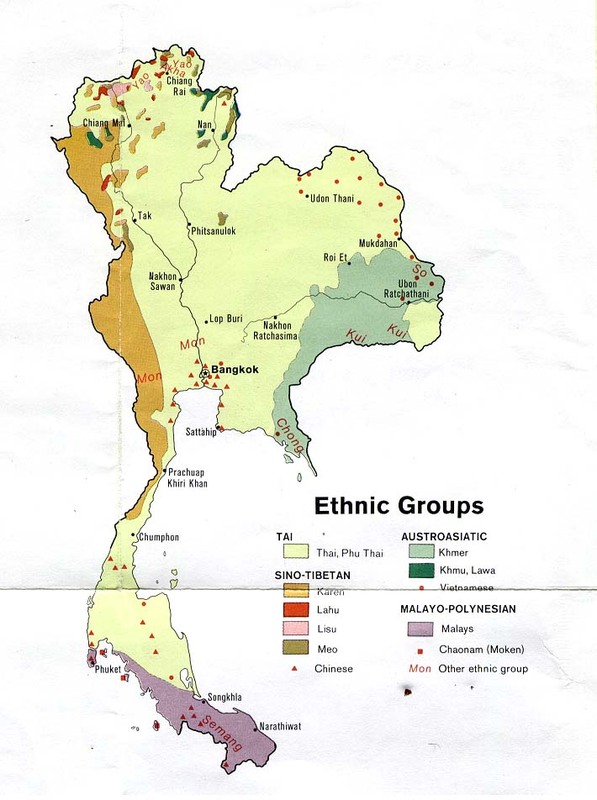 The Lao Ngaew people have never appeared on lists of ethnolinguistic groups because their language is not considered distinct from other Tai varieties. However, the Lao Ngaew view themselves as a distinct people with a common history and ethnicity. In the majority of their locations they prefer to live with members of their own ethnic group. In other places they share their communities with members of other groups that migrated from Laos, such as the Phuan and Lao Wieng. In those places where Thai people live nearby, the Lao Ngaew seem to be looked down upon by the Thais, who 'consider the Lao Ngaew as a people without their own ethnic culture, who do not preserve their own tradition and customs but too easily adopt the customs of other ethnic Tai groups'. When a Lao Ngaew couple gets married, the groom's family is required to pay money to the bride's family. These days the bride price may be up to 100,000 baht (about US$2,300). A few decades ago the bride price was just 60 baht (less than $2)! The Lao Ngaew are able to intermarry with people from other ethnic groups, although not all other groups are keen to marry the Lao Ngaew. This is especially true with the Phuan people, who consider the Lao Ngaew socially and culturally inferior to themselves. Scripture Prayers for the Lao Ngaew in Thailand.